Earn up to 2,072 reward points. Dual delay with CVs and lo-fi sound. 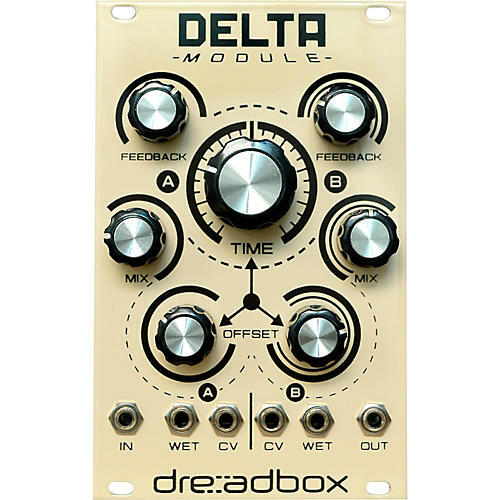 Delta features two parallel delays, each with its own mix, delay time offset and feedback controls. A master delay time knob in the center gives you fast, hands-on control, while individual wet-only outputs and CV inputs let you modulate delay times. Chorus and flanging is easily managed through the CVs. Order soon to complete your modular system, or if you are curious as what dual digital low-fi delay could do for you.